The beginning of the spring is that time of the year when you tend to spend more hours outdoors, enjoying the beautiful weather and the greenery but there is one tedious task, waiting to be completed – the deep cleaning procedure at your home. Paying attention to every nook and corner, sanitising every surface and removing all the dirt, accumulated during the harsh winter months is a challenging and time – absorbing task that requires the usage of specific cleaning tools and supplies. A deep cleaning procedure is recommended to take place at least twice a year but when choosing a cleaning company you have to pick up carefully otherwise you might get disappointed. 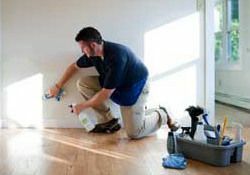 You’d better entrust us as we have already proven that CleanersFinsburyPark are the indisputable leader in providing various high quality cleaning services. Each one of our cleaning experts is experienced and motivated to meet the demands of every customer. Booking with us means that you will get the deep cleaning service our current customers are used to – efficient, hassle – free and affordable. You definitely deserve to live in a neat and clean environment so get in touch with us as soon as possible. We work with extended working hours even during the holidays and the call centre supporters are available round the clock and ready to assist you in the booking procedure. They can also provide you wish detailed and accurate information about the essence of the deep cleaning procedure. 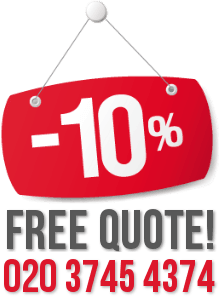 Once you see what our cleaning technicians in Finsbury Park are capable of, you will become one of our numerous regular customers.